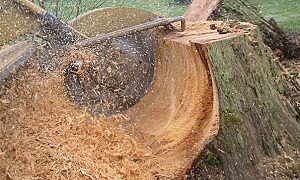 Most estimates can be done over the phone with a couple of questions regarding the size of the stump, location of the stump and the purpose for removing the stump. There are two types of pruning which are root tracing and root cutting. Root tracing is done by grinding down hazardous surface roots. Root cutting is done by cutting roots through a designated area to prevent damage to surrounding sidewalks, driveways or foundations. We offer preparation of footer installation through extensive root systems. 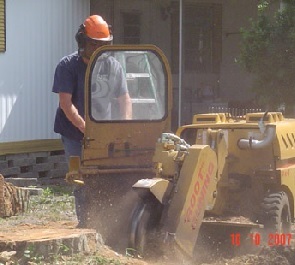 We grind down unwanted stumps in the line of your new fence to be installed. We can prepare the area by grinding stumps and roots for your new addition by totally removing the stump. With the help of a site plan we can totally remove any stump and have the site ready for the pool company to do their dig. We offer same day service with just a few hours of notice or sometime even the same hour. If you do not see your area please feel free to call us and ask as we have not listed all our service areas. 2017 © Randy's Stump Removal All Rights Reserved.